Nowra Local Pools & Spas is a well established business, operating for more than 16 years. They had a website for a few years, however, it has not been online for the past 12 months. We have decided to build a new website and most importantly, increase its search visibility so people can really find it. On the website, we created new content, optimised its usability, created new call to actions and focused on an impressive but realistic product presentation. There is no domain authority for the domain name, so our task is to get some relevance to it, as well as create new interesting content that will be useful for future pool owners. 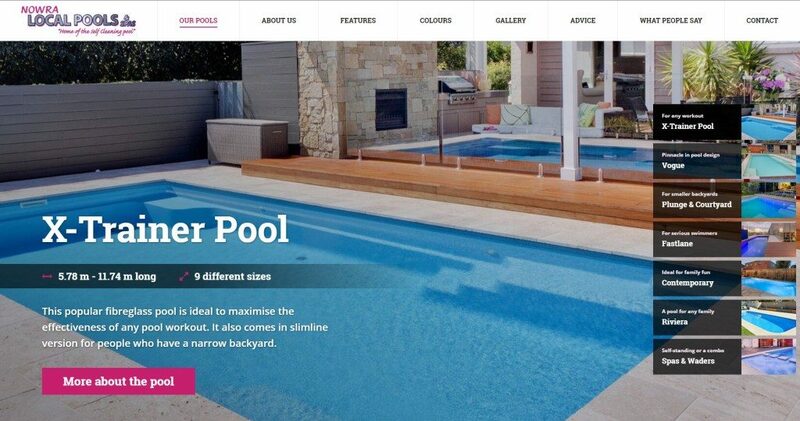 Nowra Local Pools & Spas is an authorised Compass Pools Australia pool builder. 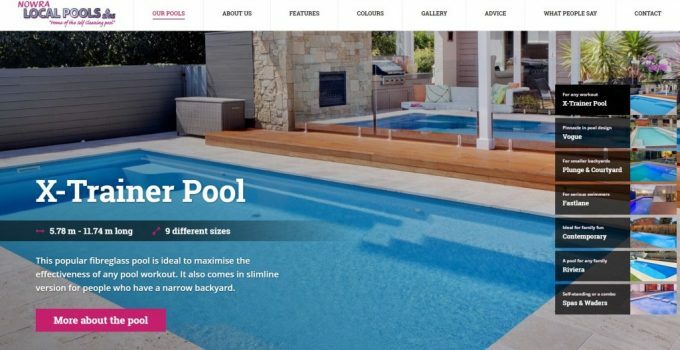 They are building fibreglass swimming pools in the greater Nowra region since 2004. If you are thinking of having a swimming pool built around South Coast region of New South Wales, you should consider them. They install high quality Compass fibreglass pools that look stunning and last long. Achieve similar results then those described in this case study! Also your website can bring you visitors. Stop letting Google send traffic to your competitors and start an SEO project with us today. Learn here more about our SEO services or simply get in touch with us via the enclosed contact form.